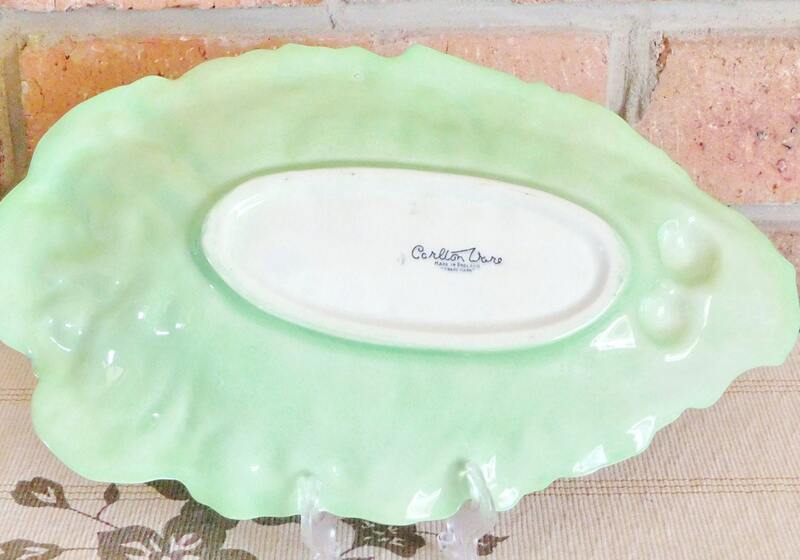 Carlton Ware England mid century fine china green leaf serving plate, with sweet little tomato accents, made in the 1950s. It is not chipped or cracked at all, however it does show evidence of crazing so light and fine it is unnoticeable except under strong light. 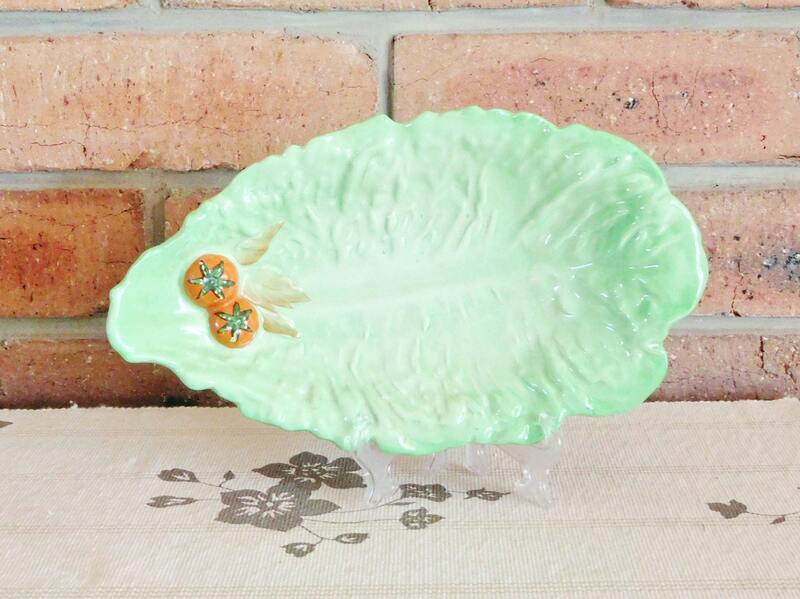 Ideal retro collector’s piece, perfect for serving small cakes or sweets and a great gift idea.